Olive oil tasting is like wine tasting; it’s a sensory experience, an acquired taste. What’s different though is that the law clearly stipulates that only those who have reached the legal drinking age can pick up and savor a glass of wine. That law thankfully does not apply to olive oil. Learning to appreciate olive oil at an early age is an advantage to young adults; it puts them on the right path towards a healthy lifestyle later on. 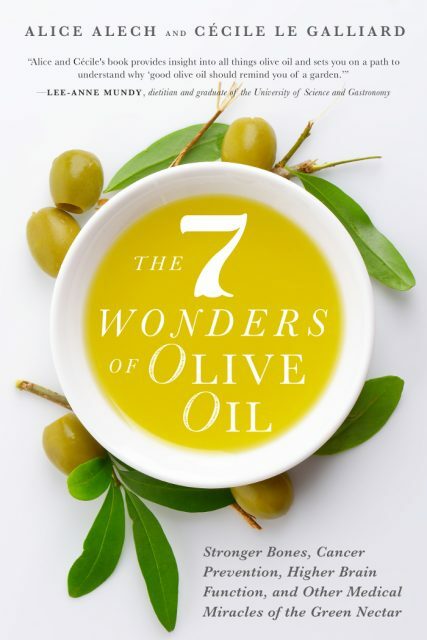 How soon then can our taste our taste buds start recognizing flavors and distinguish between excellent, mediocre and bad olive oil? Research carried out in Greece on 190 high school students show that teenagers once they are made aware of the sensory properties, and the analysis of extra virgin olive oil can distinguish between extra virgin olive oil and defective oil. The results also showed that the young adults aged between 13 and 15 years old were able to recognize rancid and muddy sediment in olive oil. The participants come from Messenia one of the most common olive oil producing regions where olive oil culture is deeply rooted, curious and expansive: they are used to consuming olive oil in their daily diet. Vasilis Demopoulos, Anna Milionis and Panagiotis Skouras from The Kalamata Olive Oil Taste Laboratory carried out the studies. 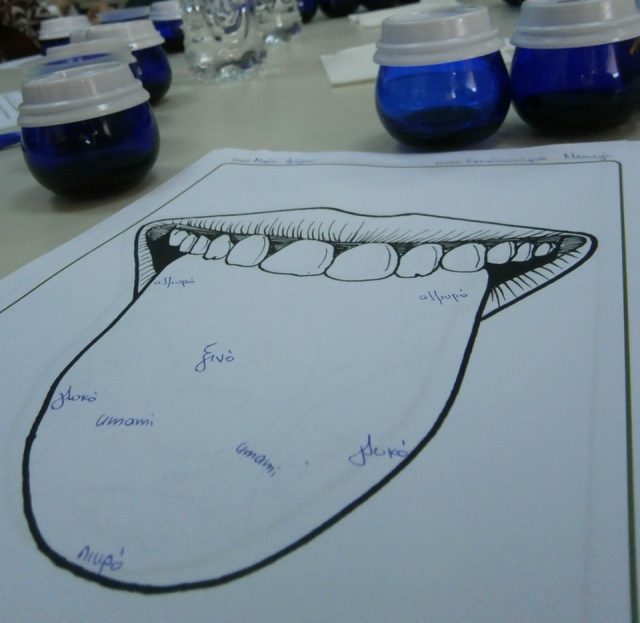 Trained in sensory evaluation, they are part of a team of 14 professionally trained olive oil tasters lead by Dr. Vasilis Demopoulos, all volunteers from the wider community of Messinia involved in sensory evaluation since 2011. The self- funded laboratory offers sensory analysis services to producers and conducts educational seminars to olive oil professionals and aficionados. Students preferred at large medium intensity oils to robust and delicate oils – similar to other consumer studies. The study was funded by the Captain Vassilis and Carmen Konstantakopoulos Foundation, a private non-profit foundation, founded in 2011 to honor Captain Vassilis and Carmen Konstantakopoulos. Its aim is to establish Messinia as a model for sustainable agricultural development, by supporting and promoting related projects. So far it has supported a series of activities, varying from research on local seed varieties to seminars on local gastronomy and products, as well as the promotion of local products’ export. If anything, this study shows that appreciation of olive oil and cultural traditions do not necessarily go hand-in-hand. Knowing how to recognize the freshness of olive fruit by smelling and being able to appreciate bitterness and pungency in olive oil is not only a challenge for us adult consumers but more so for children. 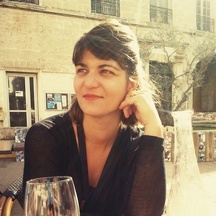 [Sources] The article was wrote by Alice Alech in her blog Provencial Provence: a taste of life in the South “Appreciating olive oil can start at any age, the younger, the better .“Vasilis Demopoulos, Anna Milionis et Panagiotis Skouras from The Kalamata Olive Oil Taste Laboratory carried out the studies. Thank you for that fascinating article! I just shared it on my Greek Liquid Gold: Authentic Extra Virgin Olive Oil Facebook page and website (http://www.greekliquidgold.com/index.php/en/news). It’s great to hear that young people are learning about olive oil tasting. I’d like to see that happen more, both in other parts of Greece and elsewhere. I believe Terra Creta in Crete is working on that, too. What kind of organization is Terra Creta? I am very interested in any kind of work done on the tasting of olive oil!